If it seems like it’s been awhile since you’ve heard about the Quality Enhancement Plan (QEP), you’re right. But that doesn’t mean nothing’s happening. Five years is a long time, which is why Williford and the various team members are working so hard to make sure they get it right. But what exactly is a QEP? In short, the Quality Enhancement Plan is one of the two parts the Southern Association of Colleges and Schools Commission on Colleges (SACSCOC) requires for accreditation. Not only must a school prove compliance with a set of defined standards, it must also provide a QEP, which is a proposal to enhance student learning in a specific, measurable way. In Phase One, which ran from February 2014 until January of this year, a team was chosen with representatives from all the colleges across the university. The team’s goal was to determine what data existed specific to GRU that could demonstrate what student learning needs were and how successful the school was at meeting them. While it might seem an easy chore for an institution of higher learning, quantifying it was complicated by the consolidation of two very different schools with two very different student pools. In April, the GRU community was invited to submit themes. The committee received 54, and from those themes, 10 topics were identified, many of which included some form of experiential learning. Therefore, the committee decided the QEP’s theme would be experiential learning, with sub themes of leadership, research and scholarship, and community engagement. By September, there was a call for proposals, which took those themes and then turned them into potential QEPs. In the end, six were submitted and evaluated by the committee. Of the six, two were forwarded to the leadership panel, which consisted of the Provost, the Deans, the University Senate Chair, the EVP for Administration and Finance, and key officers from academic and student support units. Both targeted leadership, with one focusing on community engagement and the other focusing on community-based research. In January, the leadership team recommended synthesizing the two plans into one QEP, and that idea was endorsed by Dr. Caughman and President Azziz. Now, the process has entered Phase Two, and the committee has expanded significantly. Teams include Design, Assessment Planning, Engagement/Awareness, Literature/References, and Resources, all of which report to a Core Team who oversees the project’s progress. More information about each team, including membership, is provided at gru.edu/QEP. The main thing both Williford and Tugmon want to stress, however, is that there is a lot of work going on, even if it is somewhat behind the scenes. According to Tugmon, they’d like to have as many of the plan’s details fleshed out as possible by May, with some tweaking going on over the summer. They would begin to write it up once everyone returns in the fall. What Tugmon finds exciting about this QEP is its potential to impact students on a variety of different levels as well as the community. The teams are currently pursuing ways to engage students and community members in addition to faculty and staff in the development process. They will submit the report to SACSCOC around February 2016, and SACSCOC will send an onsite review team in March. Williford also emphasizes the importance of everyone on campus becoming familiar with the QEP. And by everyone, she means everyone. For more information or to keep up-to-date with the latest developments, visit the QEP site here. Leadership, Engagement, and Professionalism (LEAP) and the Academic Community Engagement (ACE) have been selected as finalists for the Quality Enhancement Plan. “After reviewing the proposals, the QEP Core Team felt these two best embodied the theme of experiential learning as well as met the SACSCOC expectations for a QEP,” said Cathy Tugmon, QEP Project Co-Leader and Associate Professor of Biology. 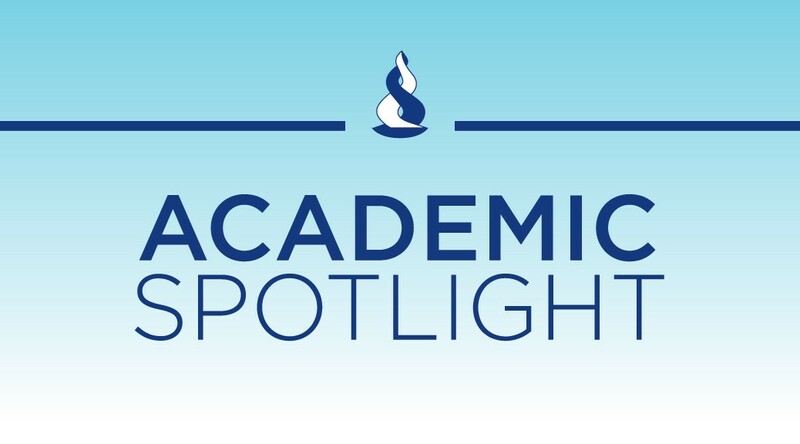 The Academic Community Engagement Program is designed to foster student engagement and leadership within three contexts: the academic department, the Augusta community, and a study away community. The components of the ACE Program include local service-learning research days, a study away experience, INQR 1000 paired with a core course (for rising sophomores), and a newly developed one-credit leadership course (for juniors and seniors). During the ACE study away experience, students increase awareness of their leadership and scholarship potential, while exploring cultural competency. The study away programs will be student-led by trained juniors and seniors who received leadership training during the spring semester prior to the summer study away trips. The authors of the proposals will present their concepts for consideration to the leadership panel during the first week of January. The panel is comprised of the President, Provost, Deans, University Senate Vice Chair, Vice President for Administration and Finance, key officers from academic and student support units, and subject matter experts on the selected themes. Following the presentations, the QEP topic will be selected by the President and Provost. Once selected, Phase II, the development phase of the QEP, will begin. To read the proposal abstracts on LEAP and ACE or to submit comments, visit gru.edu/qep/abstracts.php.